Zoso is a Marth main from New England who is ranked #1 on MIOM’s top 100 players. In this interview we discuss his journey from 2001 until today as well as how to approach practice and getting better. Macca: Hey and welcome to Smash Stories where we learn about and learn from the best Smash players in the world. Hi, I’m Macca from Melee.co and today I interview Zoso who is a Marth main from New England. He is ranked 71st in the world and has been playing Smash since 2001. In this interview we talk about what it was like growing up with Smash, going through the end of Melee as they thought back then as well as what he does to practice and how you can become a better Melee player. I’m very happy to introduce Zoso on to the show today to learn about him, his backstory and how he goes good at Melee as well as what we can learn from his experiences. First I just wanted to get your backstory and understand how you got into Melee, how you started playing, how long ago was it, etc. Zoso: The way I got into Melee was when I was a little kid I was a huge fan of the first ever Smash Brothers game but basically it was what you’d call in a casual way. Macca: Who did you play in 64? Zoso: I played Captain Falcon. And I pretty much like only used B moves but I could beat my brother and all my friends. And then I started playing Melee with my cousin who was like five or six months older than me. He has been my best friend since we were both like less than a year old so we started playing together. He got a GameCube for Christmas the year Melee came out and I just played it like every second I could get my hands on it. The first couple of times I put my hands on it I actually like Smash 64 more and then I kind of gradually warmed to it. But when I first started playing the game I still mostly played Captain Falcon and that actually continued for the first couple of years I have been going to tournaments. Macca: Okay. So you’ve been playing Melee since it came out since 2001? Zoso: Yes. I guess I’m kind of a naturally competitive person so you could say like I’ve been playing it competitively. But I went to my first tournament in 2004 in Boston and the good players at the time were like the Ninja Turtles who a lot of people might remember like Krazy Jones and Kirbyson was another one. And there was this guy Jenks, I went to a tournament in his basement and at that time the island where I was from it was really just like me and my cousin his tag is Yoyo and there is probably a vlog on YouTube of him beating Canada Quebec in 2005. If people want to look that up it’s pretty funny. And there was this guy Unknown Force who people who have been around for longer might know. So it was pretty much just the three of us and we played with each other but we would also go up to fall over and play with the Ninja Turtles. I spent a lot of time in Connecticut playing with Cort. We would go to face a crisis like on weekends occasionally. We moved around a lot in those days. Macca: Back in those days like in 2004 when you started getting into it competitively, what made you make the step from going from a casual player to like going to tournaments and playing this game competitively? Zoso: It was just like I think we love the game so much and seeing that there were people out there who could do that and seeing like I guess on some level I’m still like a 15 year old like a Ziaphen boy because he’s just the coolest. He was like my biggest influence early on and seeing Zthe first couple of combo videos, the DVR put out like ‘Overdose’ and I don’t remember what the one they did for Jerm was but my honest opinion of those were huge for the formation of the scene like actually having content like that out there. My finding Smashboards I think was big for a lot of people earlier on. Macca: Do you know like when did Smashboards start? Zoso: I have no idea. The oldest account I know of is from like 2002. I’m pretty sure that Azen’s Smashboard’s account is from like 2002. Mine is like 2003. I don’t remember exactly when it started. Macca: Is that how you found out about the tournaments and how you found out about videos and stuff back then? Was it all through Smashboards? Zoso: A lot of it was. A lot of it was also through my cousin and I don’t know where he found a lot of it but this was before YouTube so a lot of the videos that we got were on this peer to peer program called Dizzy++ and there was like a Smash hub on Dizzy++ where people would share videos and stuff. I would check Dizzy++ like every couple of days to see if there were any new tournament videos available. Macca: Is this like you downloaded the video and then you watch it with like Windows Movie Player or something? Zoso: Yes, Windows Media Player. This was probably before VLC was even the thing. And the other place where you could find that was on Captain Jack’s website and he would upload a lot of videos of himself playing with other top Japanese players but also like videos of Japanese top players like Masaki. And seeing a lot of Japanese players like Dk, Gammon and a lot of them played Doc so you were kind of seeing like the different blend of characters that we had at that time. Macca: How did you do at the first tournament you went to? Did you perform well? Macca: And how did that feel? Zoso: I mean I didn’t like it but I also was kind of in it for the fun of it. It was like if I lost tonight I felt like I could have done better but I just kept playing. I don’t think I got really serious about the game for a few years and I don’t think I really realized I was like good at it until way later. I think just because I’ve played video games my whole life so it was still kind of just like a thing I did for fun and a thing I did in some way kind of mindlessly. So trying to really pick it apart and understand it was something that didn’t come until much later for me. Macca: So you were kind of just playing the game with your friends, you were going to tournaments. You weren’t doing like tech grind and things like at home trying to analyze matches to get better? Zoso: I didn’t even have a GameCube for the first like probably four or five years and I never ever practiced tech skills for many years. I should have though. Everybody should. Macca: So when did you start getting serious about it and say okay this is something that I want to continue to get better at? You ranked #71 on the top 100 at the moment. How do you go from someone who just plays like semi-casually not really practicing just playing with friends to someone who’s now ranked in the top 100 in the world? Zoso: Well, part of it was that all the good players in the island quit. That was part of it but it was really just like I don’t know. This game has such a profound impact on my life I guess that was part of it so I just kind of like I have always felt this drive to keep doing it. But I think part of it was that I was always surrounded by really talented players in the northeast. I played with Cort a lot and I think he’s probably one of the main reasons why I got decent at all even though at the time that I was playing with him most frequently I wasn’t really able to absorb a lot of what he was doing. I was really privileged to play with [8:39 inaudible] a lot and during their primes. And it was at a time where I had a car that was pretty reliable and I didn’t have a ton going on so I was just able to travel a ton and just play as many people as I could. But it’s kind of like the same I think more or less for everybody. There are a couple of special cases of players who have really just come out of nowhere but it was really like just kind of a gradual process for me. Macca: A lot of people that I talk to would say that they played it and then gave it up for a couple years and then kind of got back into it. Did that happen with you? Zoso: Yes, there were periods of probably like six months where I didn’t really lay a finger on it just because like maybe other stuff was going on in my life or maybe I just was really wasn’t all that interested in it. It’s a combination of things I guess. A part of it is like depression which has been kind of a force in my life for a long time. Another thing with Melee is maybe even this year or last year I played Melee and I loved it but I never really felt like it was the priority in my life because there’s a lot of other stuff that’s really important to me but it’s like no matter how much I played Melee and how much I competed in it or how much I loved it I always felt like if something else came up and it had to go on the back burner that’d be fine. It’s really like just in the last year or two that I’m really trying to make it like a big part of my life and who I am. Macca: Okay. Do you work or study or do other stuff as well or you are trying to make Melee a full time thing? Zoso: I mean if that happens that would be cool but I’m also a musician and that’s never going to stop mattering to me. It’s kind of finding the balance I guess is always going to be one thing but right now I have a part-time job. I do transcription at a medical office in Middletown, Connecticut which is near where I live and I teach guitar privately and I play Melee. Macca: So what was it like during that era like when Bro came out and Melee kind of died like some people say? Zoso: It was pretty weird and it wouldn’t really be much of an exaggeration of all to say that Melee died out. There were last tournaments around in general back in those days but on the other hand even though there wasn’t as much stuff because tournaments were fewer and far in between and more people wanted to go the whole scene in general felt a little more incorporated because we used to get a lot more players from New York and that was a much more commonplace thing. And like Connecticut playing with Maine and playing with the guys from New Hampshire playing with the guys from Massachusetts playing with Maine and the other players from Rhode Island was not really all that an unusual thing. The whole idea of having the weekly where you get 70 people that just didn’t happen ever back then. So just like tournaments being kind of scares in general and a lot of people were trying out Bro – I mean a lot of people really quickly realize that they didn’t like it. I never stopped playing Melee. Macca: Do you ever play Bro? Zoso: I played Bro for like a couple of weeks at the maximum but I will say actually it was just a funny side bar. I played with the springs out of the triggers on my controller and actually the reason why I originally did this was to use it for a Bro controller because in Bro I am not sure if it’s the way they program the game or if it’s a thing with the way but it doesn’t recognize the analogue process on the GameCube controller. So there were times where I would get hit and know that I had shield it but it doesn’t work. All this here doesn’t matter on the Bro. Macca: So only the digital click would register in Bro? Zoso: Yes, it was only the press right at the end and shield games are really important in Bro. And so I tried it out and then I ended up trying it when I played Melee and this actually makes a lot of sense to me. Macca: So does that mean when you play Melee you can’t do a light shield? Zoso: Yes, I can’t light shield. And actually I think if I could go back and do it again I probably would have just stick with a normal controller because light shielding is pretty useful. But it is like a give and take there are some things that it’s good for. Macca: What’s the benefit of it? Of not having the screens? Zoso: Not being able to light shield can actually be a good thing sometimes because occasionally you’ll see people don’t go to shield an attack right at the last possible moment right before it hits them and they’ll shield during the analog part of the process. Therefore they’ll get a light shield but light shielding means more shield is done but does not appear at the shield timing and also if the springs aren’t quite like maybe if they are not lubricated or if the whole assembly isn’t quite working properly because a lot of parts in the GameCube controller hold together like fire turned to plastic. When you go to L cancel for example especially if it’s an area that doesn’t have a lot of land you’ll land and get like one or two friends over to light shield which kind of throws off your whole rhythm. Little things like those are nice. It’s kind of more of a quality of life thing. It helps for power shielding but I think the things that it helps me with are just things that are kind of naturally arose just out of my play style and just the way that I use my shield. But like I said I think the utility of being able to light shield whenever I’m not needing to do some kind of setup like when you are already holding A and you press Z or something. It is just really useful. I wouldn’t recommend it for everybody but I think it is something worth trying. Macca: And so does that mean every time you get a new controller you go ahead and take the springs out of the triggers? Zoso: Yes. Yes, I usually do that. And I also started because of the stuff that Kitano was doing. I got the idea from him to start modifying the gate on the control stick so that I can shield drop with it more easily. Macca: Yes, so you can do that. I have seen that. I am too scared to open my controller. I’m not good at all that sort of stuff. Zoso: They’re pretty harmless to be honest. If you have a decent quality set of files I think the Kitano stuff is mostly very easy to do but it will wear out after a little while just like any other controller. Macca: For those of you who don’t know what we’re talking about there are adjustments you can make to your controller so you can shield drop easier. Because you have to find like the exact right spot if you don’t modify your controller whereas if you modify it, it becomes easier. Zoso: Yes, the exact right spot. It’s really silly how fine the tolerances are for certain things in the game. Macca: Yes. When I can’t shield drop at the moment but when I do sometimes I get it, sometimes I roll, sometimes I spot dodge, it’s very hard to do. Macca: During that period like when Melee died off did you notice the resurgence happening like to where we are today? Did you notice like okay, Melee is getting big again, something’s happening or what was it like? Zoso: I don’t think any of us ever really thought that it was going to die out completely even though it was kind of weird for a while but it was probably like when the first big tournament started happening again. Macca: Was this in 2013? Zoso: Oh no, way before that. What year did Bro come out again? Zoso: Even though 2013 was the year it came back but there were tons of huge grassroots turnarounds before then. Revival of Melee was probably the one that most people would think of and like Pounds that whole big area – that was before Big House. I think the first Genesis probably happened around that time like give or take a couple of years. But it was just like seeing the really huge stuff happening again like the big Apexes and also the whole culture of having like a weekly with 70 people twice a week that happened in the past like two years maybe, in New England at least. Macca: I’m from Australia. I live on the Gold Coast and we have a weekly once a week and we get anywhere between like four and 12 people or something like that. But we have a much smaller population than you guys do. In a decent tournament for us like a monthly tournament it is like 40 people. So we got a long way to go to catch up to the States and what you guys are doing over there. Macca: Let’s talk about your tournament performance. I don’t actually know how well you do in tournaments, how well you performed, what was your best tournament, what placings do you usually get. Talk us through some of your tournaments. Zoso: My best placing was probably Zenith in 2012 and that was the only tournament that size where I have gotten toppy. I spent a lot of time going to big tournaments and not competing just because I kind of like hanging out. But that’s kind of going back to what I was saying a little while ago about how I want to make this an actual priority in my life. A lot of my results you would have to look locally but the last couple of nationals that I went to — I think at The Big House 5 I made it to top 64 which was okay but not like nothing crazy. I guess I would say that I usually kind of place about where I’m expected to which is like that’s not what anybody wants to say about a tournament. You know it’s like I went and I did exactly what everybody thought I was going to do. Unless you are like Armada and then you go and you win and everybody is like yeah it’s not surprising at all. Macca: Yes, everyone expects him to win. Well now with Hungrybox, could he come first or will he come second? Zoso: Yeah, yeah, Hungrybox is ridiculous. Macca: Let’s talk about your progression in terms of skill when you started practicing more, started doing tech skill and things like that. Do you have any advice for people who whether it be Marth specific advice or whether it be just general player advice about how to progress and how to become better? Macca: It’s probably too broad a question. Zoso: It’s a really big question but I think I can answer that. Don’t shy away from practicing on your own time. Don’t feel like it’s a waste of time to do it on your own because it’s not. But like the greater variety of people you can play against the better. I think your circumstances matter to an extent but it’s definitely not everything. If you look at the current best players – Armada comes from a country where he was the only good player pretty much for many years especially after I believe Hamson had to take a couple of years off Melee. Armanda was just really honing his craft that whole time and it kind of happened that he was at a level where he could come to the US and just — I mean he is Armanda – what more needs to be said. Macca: Well that’s the thing. I watched this stream and Armanda was saying he doesn’t really have anyone close by that he can play with even Leftin lives like four hours away or something like that. So it’s not like they can just go around to each other’s house and practice or anything like that. Zoso: I think it’s good that people talk about that because when I was coming up there was I guess superstition in the community that you didn’t really need to practice and you could just play with good players and you would get better like accidentally. But I think it really takes a lot of work and it takes a lot of concerted conscious work and we’re seeing it now. The players who are succeeding and really rising above the level they are at are the ones who are treating it like a full-time job and really like living it. It’s not an easy game but just work hard and be patient with it when you play people. Macca: What did you do? What concerted effort you have been making, like what have you been doing recently in order to try and improve your game to try and settle out? Because I can imagine that being in the top 100 obviously you have quite a high skill level. It becomes harder and harder to get better and better. Like for me, I have been playing a year so it’s easy to see progress each week or each month. Zoso: The idea of diminishing returns definitely matters. But I think for me lately it’s been practicing a lot of stuff that I’ve been putting off like practicing certain elements of execution that I really needed to clean up for a while but just never really got around to it. Macca: Like what sort of stuff do you mean? Zoso: Anything. Nothing is too simple to practice is another thing. Like wave dashing isn’t something that a lot of people think of themselves as needing to practice. Usually most people they will learn it and they will say okay I can wave dash but if you sit down and practice it and try to get good ones over and over again you will be amazed at how many you messed up. So like stuff like that I think the way like Dr. Pee Pee or PPMD now I guess the way he talks about the way he approached practice I think there’s a lot of good ideas to be had there. Because like a lot of people are familiar with practicing execution based stuff like punishes, like tech chasing but practicing your neutral and those concepts without a human that’s not something that other players do. I’m sure that Armanda is master because his sense of natural especially with Peach is incredibly sophisticated. But just like Pee Pee’s whole thing is I guess the way I would describe it at least — I don’t know if he would disagree with that — is like having this sort of modular approach to practicing where like all the basic elements of tech skill like wave dashing, dash dancing — Pee Pee plays Falco so like all the different ways you can develop. It all goes down to the point where it is natural as breathing like to where you literally can’t mess them up and then take elements of tech skills and put them into sequences and then practice those, let those become automatic. I’m not talking about just like punishes it’s like stuff you would do in a match, stuff you would do against the player in a specific situation and then speculate about how they might be able to counter that, come up with stuff to deal with that. He is such an excellent model of hard work. But for me it’s just been a lot of the basics like waves dashing movements and then some stuff like pivots. I’ve been working on tech chasing a lot because I think that’s something that’s going to become increasingly necessary for Marth and the character is kind of at a low point in terms of representation now. Macca: Well he could become higher if Mango picks him up. Zoso: Yes, Mango’s Marth is really good. I wouldn’t be surprised. If you got more people playing the character that would be awesome. What I really wonder is I don’t know if Mango is necessarily going to innovate with the character or if he is just going to put things together really well because he kind of has his own thing. It’s interesting — him and I guess you could say PPMD they’ve never really done like tech oriented players if you know what I mean. Macca: With Marth, do you mean? Zoso: I mean with any character really. There’s an argument that PPMD innovated a lot of stuff of Falco but I don’t think Mango’s thing has ever really been like just having better technology than everybody else. He is kind of more of a — I guess people would say like “play the player” type of guy. It’ll be interesting to see how he carries it over to Marth but I think his Marth is really good. I think a lot of current Marth players could learn a lot by watching him. But I just think the way the character needs to go now is kind of more in the direction of like optimization I guess. Macca: So is this kind of like taking the 20GX approach that people have taken to Falcon like a plan that sort of similar approach to Marth in terms of that? Zoso: Yeah, sort of that. Macca: So what made you pick up Marth in the first place? 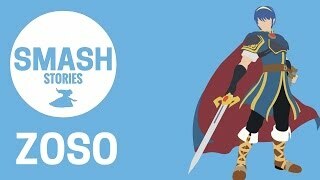 Zoso: Like I said I originally made Captain Falcon and I was tired of always losing to Fox and Falco so I picked on Marth to play against them which is probably how a lot of people picked up Marth earlier on to be honest. But I picked up Marth and then the more I played him and the less I played FalconI think he just kind of lets me play the game the way I want to. And even though there have been times where I got frustrated with what I felt like he offered me, ultimately I think there’s so much that is still yet to be done with him. I think he is really incredibly good. I think I honestly might have more confidence in the character than almost any other Marth playing currently except for like Moon because Moon believes very firmly that Marth is the best character. I just don’t feel the need to be certain about it I guess but I think he is really good. I think there’s a lot more than I can do and that everybody can do with him for that matter. Macca: When it comes to the 20X6 and the theory that Fox is the best and everyone will play Fox you go against that and you think that Marth is definitely viable as potentially the best character in Melee? Zoso: I don’t really think I go against that. Fox is pretty good too. But I guess I just look at it in general. Across the board there’s a lot for us to learn but I just kind of happened to be interested in figuring out what that means for Marth. A lot of people are doing it with Fox and I think that’s great and hopefully we’ll see more people doing it with Falco. He’s also kind of low in terms of representation right now. People are working on optimizing Sheik now. We are seeing a lot more people actually able to really do the reaction tech chase which just goes to say. And the stuff that Hungrybox is doing with Puff now is just like mind blowing to me to be perfectly honest. Macca: I was watching an interview with Hugs and he was saying that the T list probably won’t change but just the viability of more characters on the T list might extend because he was talking about obviously he plays Samus so he was just saying that because we got some good Samus players now the viability of Samus to win tournaments and things like that is kind of extending out so like the T list and viability of the characters is becoming larger. Zoso: Seeing more characters is always good. Macca: Yes, it’s always fun to see a variety of things rather than just seeing Foxt Studios and Foxt Studios and Foxt Studios. Zoso: I hate watching Foxt Studios. They are fun to play but I cannot stand watching it. Macca: I used to hate watching Foxt Studios because I was just sick of watching this character but I think if you’re going to watch Melee you got to kind of like that because as soon as he gets into the top eight you got so many people who are playing Fox. I play Peach and so for me Marth is one of my nemesis because the Marth-Peach matchup just feels so hard as Peach. What do you think about that match up in terms of Marth versus Peach? Zoso: I think that Marth definitely has an advantage. I think if you look at Marth vs really floating high survivability characters – I’m not going to say all the matchups are the same because there’s definitely interactions that are different between each of them but it’s Marth I think is going to win almost 70-80% of interactions. If he plays it right it’s going to be really hard for Peach to get ahead but then if she gets in and she stays in, it usually doesn’t does anymore for Marth. I think if you play around dash attack well and you deal with turnips well I definitely believe Marth has an advantage. But also if you look at the way Armada plays it and I think it’s probably fair to say that he’s the best anybody has gotten at it so far. His whole thing is like — any Marth player unless he is clearly levels above them he’ll have a lot of that interactions he’ll lose out a lot. But his most impressive strength in my opinion specifically in a matchup is just like damage control and might not really ever letting himself just lose a stock when he shouldn’t because his command of defensive options is really top notch. So it’s like just keeping yourself alive long enough to get the chances to go for like crazy for other players and get them work your punish game. Macca: I would give another advice as well as I was playing against Marth and getting really frustrated. I’ve got a friend who is a Peach player as well and he was saying look don’t get frustrated, Marth will juggle you and you would be juggled for half of the game but often he can’t kill you by doing that so as long as you cannot keep your cool stay calm all that is happening and he just try and get back to stage. Zoso: Do you know Rambo, the Peach player from Australia? Macca: Yes. I don’t really know him but I have heard of him. Zoso: Oh, I got you. I played with him in Apex and he seems like a really nice guy. Macca: What’s his Peach like? How does it compare? Because he’s probably one of the best Australian players, right? Zoso: Yes, he is pretty good from what I saw. I think he’s worst than like Mafia level (Mafia – the Peach from Boston). I don’t think he’s as good as Mafia but like he’s good and he’s solid. I played him in tournament in Apex and he got second seat in the pool. He is definitely not like a bad player but I don’t think really top 100 level either. Macca: I think like in Australia we have some good players but they’re kind of all spread over different States and quite far away from each other and it’s hard to connect everyone. They connect like once or twice a year at tournaments here. Zoso: It’s hard but not impossible for people to really shine in an environment like that even if you can hang with the best players it’s pretty unlikely that you’re going to get the chance to show that. If you’re in Australia just because of how prohibitively expensive I would imagine traveling is. Macca: Well, the thing is Australia is the same size basically in land mass as America but we have about 20 million people versus what do you have – three hundred million or something like that. We are like super spread out, everyone’s in cities but to drive between the city is like 10 hours drive. Zoso: The population is really centralized on the coast of Australia, right? Macca: Yes correct, very centralized like on the east coast but it’s not like close to each other in any way. I found like in Queensland we have smoke pups it’s like smoking puppy who’s quite good. Him and there’s one other guy who are kind of at similar level but then I feel like maybe they don’t get the exposure to other good players of other different characters apart from each other. Do you think it’s definitely a downfall for people to do like one the things you were saying was if you want to get better practice play against a variety of players. I guess that would be a downfall of living in a country like Australia. Zoso: I don’t think that’s 100% mandatory I guess because again PPMD mostly played with his brother who plays Fox and has one of a couple of other characters to play against PeePee. Armada mostly played with his brothers and like occasionally elsewhere and like Latin and was not allowed to attend tournaments in his own country for a year or so and I mean look at him now. Macca: Why wasn’t he allowed to attend tournaments? I didn’t know this. Zoso: I don’t know. I’m not really the guy to ask but I’m sure the information is out there for anybody who wants to find it. I guess it’s just nice to have other people around but the main thing I think people should take away from that is just the ability to think about the game in different ways. Just like being open-minded but also being able to make well reasoned value judgments about why certain things, certain strategies, certain techniques are better ultimately better for winning than others. It is not an easy thing by any means. Macca: It is such a complex game in terms of like the mocker interactions that happened. I guess for someone like PeePee who just sits in his room and somehow he can like analyzed if I do this what another player would likely to do. I don’t know if I have enough game knowledge at the moment to be able to do that but I feel like I couldn’t even pretend that another player was playing against me. It’s like I wouldn’t know how to pretend. Zoso: Yes, well the other thing about Pee Pee in particular is that he’s always been a really good watcher of videos and knows how to take the right things away from videos but I mean you can go on YouTube and watch like thousands of hours of footage of players at every level like everything. I mean all the information is out there. It is just at the public’s display and you just got to put the work in. Macca: Do you spend much time analyzing videos to try and get better, videos of yourself and other players? Zoso: Yeah I think everybody should watch. You should watch footage of yourself as much as you possibly can. Recently I’ve been doing analyzing stuff on the stream that’s mostly Marth videos and mostly from Marth’s point of view and talking about what he’s doing and what people could be doing better with him. I watch the game now and even if I’m not really actively thinking about it new information still kind of filters through. I have noticed that he did this and that was really good. But my favorite thing actually is when things just kind of organically just manifest in my play without me having to really practice it or put effort into it – when I just do things kind of intuitively. It doesn’t happens all that often but when it does it really is a good feeling. Macca: So is it that you are saying you’re watching other people play and they do this great option and you kind of subconsciously absorb that and then when it comes to you playing it comes out? Zoso: It’s a lot like years ago I guess I would actually hear something and I don’t have perfect touch tone but I might not be able to tell you what key it’s in but I have a pretty good idea of what’s going on musically usually after the first or second time that I hear something depending on how complicated it is. I would think about how would I play that on the guitar, how would I approach that, how well would I execute that and I would want to do something similar but different I guess. That’s another way of looking at it and it’s kind of the same thing with Melee. It’s like looking at what somebody does in a situation and a lot of the time I’d be able to tell you what they did and how they did it and not all of the time I might even immediately understand the application. But there’s also a lot of little coax in the system of the game so sometimes I have to look for outside information which also happens a lot with music. But I think it’s just like having kind of a general understanding of the game. I think I mentioned before that I have played pretty much every character to some extent and I put time into whatever character except probably two or three out of the whole cast. I played a lot of them in tournaments so I kind of get a feel for how everybody works. I think that has given me a good holistic understanding of the game even if there’re still certain really specific stuff that may be lacking in places. Macca: Going back to video analysis, what do you think is the best strategy or what should people do when they are watching videos of themselves? How do you tend to go through videos of yourself to say okay how can I improve? What approach should people take? Because it is easy to say yes you should watch videos but then it’s harder to actually sit down and know how to do it. Do you know what I mean? Zoso: Yes, for sure. I think the nice thing about watching your own videos is that it’s often a lot easier to imagine what you might have been thinking and why you might have made the decision you did in a specific situation. YouTube has a place being function and you should use it if you’re going to watch videos because you’ll see a lot more if you watch it even if at half speed if you can see through it. But if you really want to be good then you should be able to sit through 30 minutes of video at least if you’re going get good lessons out of it. But for watching your own videos I would say look at interactions where you got beaten and try to decide if there was something you could have done better and then if you decide that yes there was something you could have done better think about why you didn’t do it. I guess the point of this is you have to determine whether the bad decision you made arise from a lack of understanding of the situation that had occurred from a deficiency in terms of execution or was it just like something that kind of happens in fighting games a lot. Sometimes you just make a decision and you commit to it fully understanding the situation and the potential consequences and it just happens that you know they made the raid on you or you just got outplayed or things just didn’t really worked out for you. Macca: So you are saying when you’re watching it watch for the interactions where you got beaten or you got hit or you ended up getting punished for one thing or another? First steps are to work out what did I do wrong and then work out why did I do that wrong, what was I thinking and then I guess you could practice if it was missing. Zoso: Yes, exactly. But the other thing is just being super honest with yourself. I’m not going to say watch videos and be like God I’m worthless, but watch videos and observe and say this was really bad I need to practice that so I won’t do that again. Also, look at situations where maybe you have gotten more than you did and where you had an interaction that worked out well for you but it could have been better. I know that in particular that Armada is kind of a perfectionist when he plays so he’ll play somebody and it almost doesn’t matter what level they are at and he describes like thinking about what they could have done and if they had done the better thing and if they were playing perfectly what could he conceivably have done about it. That takes some dedication. And then if you’re watching videos of other players it’s really the same kind of idea like just when you see what they’re doing try to understand why it’s working and think about it. Again be super honest with yourself and say would I have really done that in this situation. Borrow what you can, try to understand why it works, decide if you can incorporate it into what you already have. Macca: Yes, and understand, like understand the situation, watching other players, understand the situation they are in, the decision they made and what the outcome was and whether or not you can apply that. The more you talk to me the more it sounds like the way pro chess players approach chess like they don’t look at each individual piece on the board. Instead they see boards and they see the patents and they like instantly know what to do because they studied matches in the past and so they instantly know what the next move is. It sounds like Melee is kind of like that – you need to see a situation and instantly know what that situation is and what your options out of that situation are. Zoso: Yes, the only thing that’s different with Melee in fighting games is that you are playing against a person whereas I mean you are anxious too but the trust part as far as I know the way they characterize it is usually more in terms of like you’re interacting with a position and you’re playing the position on the board like the other person like it’s not that they don’t matter. And I guess it would be important to study certain players and speculate about how you might play against them but yeah that is definitely it. It’s like anything else you know, any other competitive activity, it is just kind of thinking about different permutations of scenarios being able to deal with situations that come up a lot and having stuff that’s kind of universally good against everybody. Macca: There’s going to be so much work to do to get better. Such a difficult game. Zoso: Yes, it’s worth it. Macca: Yes. How did you choose your tag Zoso? Zoso: It was about 2003 and I was maybe 15 or 16. It was in high school and I had started playing guitar when I was like 13 and I pretty much only listen to Led Zeppelin at one time and the tag officially it was untitled but the unofficial subtitle I guess was Zoso and I just thought it sounded cool and I didn’t need to put in the numbers afterwards because I was the only person apparently who wasn’t allowed Zeppelin on Smash boards at that time. It’s just like a music reference and it’s one of those things that maybe if I really wanted to I could probably change it but that’s been my tag for over 10 years so why would I bother at this point. I guess that’s already what everybody knows me as. Macca: Yes, and that’s the thing when I chose my tag. I was like okay if I do make something of this it will become more well-known and people are going to call you that like people called Mango Mango and Pee Pee Pee Pee and PPMD. And do I really want to be called something like Dr. Pee Pee? My last name is McLean so I just chose Macca. Zoso: I think Dr. PeePee is funny. I think you probably don’t pick a tag like Dr. Pee Pee if you are not at least a little self aware. If you pick it and you realize that it’s funny and how people are going to hear that’s your tag and wondered why did you make your tag Dr. Pee Pee. I like hearing people’s tag’s stories there’re some really good ones out there. Macca: To close it off I want to ask what do you feel like is next for you in terms of the Melee? Seeing that you talked about making this a bigger part of your life, does that mean you’ll be attending more tournaments? Are you going to be doing more practice as well are more grinding? Zoso: Yes, most definitely and I’m trying to make streaming a more regular thing. So if that could grow to the point where I could have people subscribing and actually helping support me and get me to more tournaments that would be awesome. But you know I’m not going to expect other people to give me their hard-earned money by any means but I just feel like I can go further. I think it is really what it comes down to. I feel like I can do more and I need to just get out there and just do it you know just like stop making excuses and just work harder. Macca: Yes. So what tournaments will we see you at this year? Zoso: At the very least hopefully but everything is kind of up in the air for the summer right now but I mean ideally everything but I’d be sure to tweet something about it when I know for sure I’m going to be going to a tournament. Macca: And the last thing is, do you have any shout outs that you want to give? Where can people find you? Zoso: Yes, I have a twitter account – @therealzoso. My stream is tourch.tv/therealzoso and I picked the realzoso because just Zoso was taken everywhere. Shout outs to the New England’s scene because sometimes they are good guys and in some ways they made me the player I am. Shout outs to Melee. I’ve met so many wonderful people playing that game – so so many. Macca: I think the scene is so good – we play a game that is so old. You can play on the internet but not really because of lag and stuff like that so it forces these people to connect with each other. Zoso: It is funny to me that we’re in an era now where I dedicated like strict not play players is the thing that’s just funny to me. It is like such a culture. Macca: Well I think it’s good that the community kind of forces people to get together, people that may not usually get together and you create friendships and things like that so different shout outs to Melee. I hope that you enjoy that interview with Zoso a Marth man who is ranked number 71 in the world. You can see this video and more by going to my website which is Melee.co. You can also follow us on YouTube or find the podcast on iTunes simply by searching for Melee.co. I’ve got a lot more Smashed stories lined up for you guys. You’re going to love the people that I’m interviewing – people like Wife, people like Cono the kid. It’s all coming up so make sure you stay tuned for that. And if you want to be featured in the next Smash story then connect with me on twitter at Ryanmclane. Send me a tweet and we can organize to interview you and to hear about your Smash story. Whether you are top in the world or whether you’re just getting started I’d love to hear from you. Again, just hit me up on Twitter.